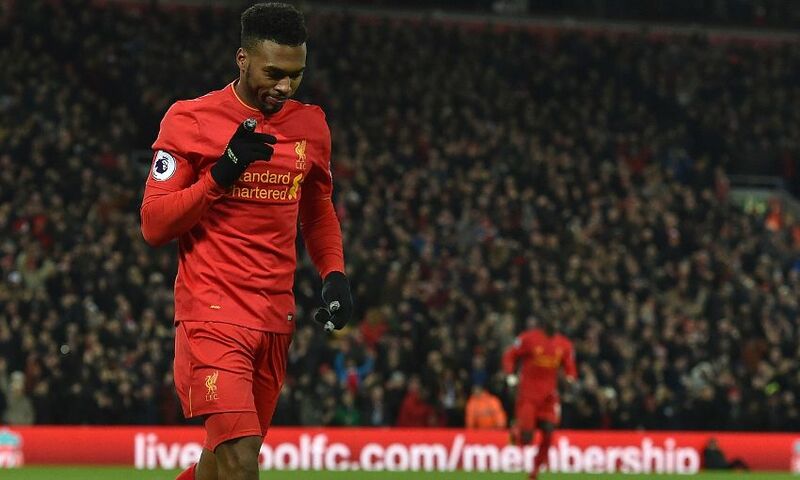 Daniel Sturridge praised Liverpool's determination after helping to seal a 4-1 Premier League victory over Stoke City at Anfield. The No.15 was introduced midway through the second half and found the target within moments, capitalising on a short backpass by Ryan Shawcross to round the goalkeeper and put the game beyond the Potters. Adam Lallana and Roberto Firmino had earlier reversed the scoreline in response to Jonathan Walters’ opener, before Giannelli Imbula conceded an own goal. “[We were] very resilient,” Sturridge told Sky Sports post-match. “We never give up, we keep going throughout the game and we know that the hard work is going to pay off at some point. That’s the most important thing for us. Sturridge’s impact followed up his pivotal contribution to the Merseyside derby success against Everton last Monday, when his effort onto the post set up Sadio Mane for the winner. He added: “The most important thing is that I keep my mindset as positive as possible. “It’s a team game at the end of the day – everyone is going to be needed in the squad. I’ve not had any issues or problems within the camp.